This aromatic soup is really good, and you can expect a rich, creamy result. We are using ginger, garlic and coriander for fresh flavours, and these ingredients are found in various Asian cuisines. We are also using coconut milk which is popular in Southeast Asia, and matcha green tea which ties all the flavours together with its distinctive, aromatic appeal. 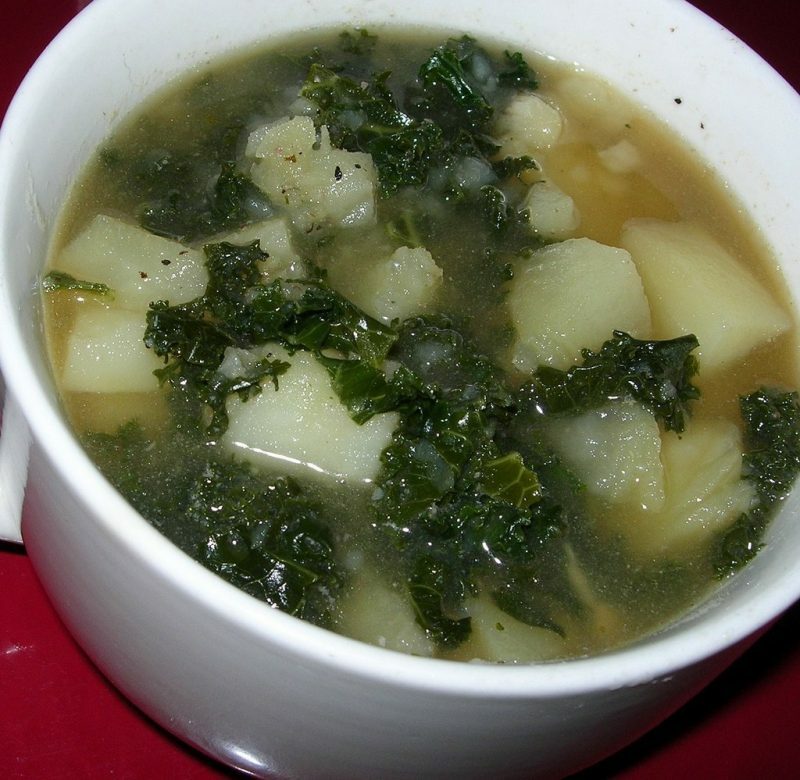 Add potato, onion, pepper, kale, and broth, and you have all the makings of this tasty soup. This Asian soup may be topped with a few croutons or served with bread or crackers, or you can simply sip it from a mug as a snack rather than a meal. Use light coconut milk if you want to cut down on the fat and calories, and use your judgment about how much cayenne pepper to add to this. It really just depends how spicy you like your food. Sauté the potato and onion in a spoonful of the vegetable broth for about 8 minutes, stirring often, and adding more broth periodically. Now you can stir in the ginger, garlic, cayenne pepper and black pepper. Cook for another couple of minutes. Stir in the kale and cook for 2 minutes, then pour in the remaining broth. Bring the soup to a boil then turn it down a bit and simmer it, covered, for half an hour. Now you can stir in the matcha green tea powder and coriander. Let the soup cool a bit before pureeing it in a blender until it is perfectly smooth. Pour the soup back into the pan and pour in the coconut milk. Warm it up gently but don’t let it boil. Divide the soup between 4 soup bowls and serve right away.